Copper, with nickel-silver mounts and keys, and applied and embossed garland decorated with musical instruments, animals and scrolling motifs. There is an applied nickel silver chield, surmounted by the Liver Bird, above the name inscription. Decorative silver boot, cast and applied, with scrolling floral decoration. Eleven circular nickel silver keys, mounted on nickel silver bridges, the head of each key decorated with engine-turned designs. Ivory cup-shaped mouthpiece. 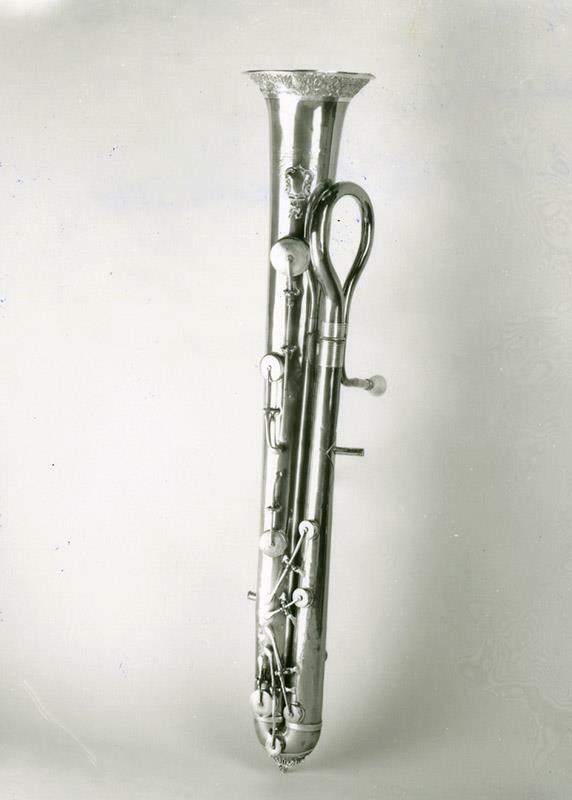 Pitch of the instrument: C.